The question, why is compounding important to retirement is one that everyone should understand the answer to. Take advantage of compound interest, compound dividends and income. 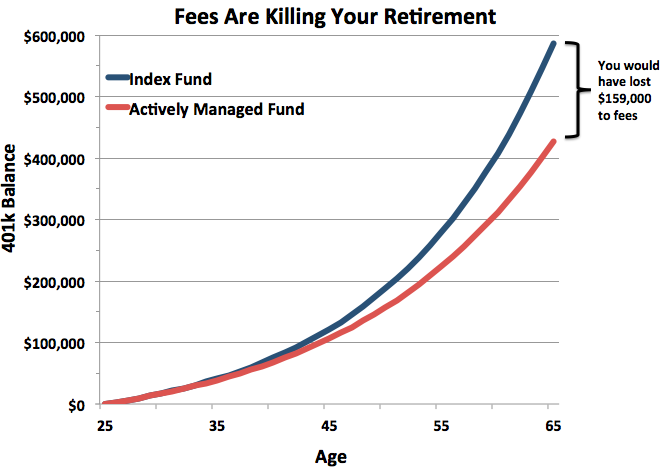 Your retirement savings are going to be significantly higher. Your quality of life is going to be much better in retirement. This is where you let your savings work for you and help you. Many people would say that interest rates are so low right now that it does not really matter. You are not going to earn much anyway. Yes interest rates are low, but even 3% income is better than no income and over 30 years it can still add up to a significant amount. A few examples will help to illustrate. If you start saving $100 per month at age 25 for retirement and continue until you are 55 assuming that you do not generate any kind of interest or dividend income, your savings will be 30 years times 12 months times $100 = $36,000. Not very much and not enough to live on in retirement. If you averaged 3% over those same 30 years, your savings would jump to over $58,000. In fact your compound income is almost equal to what you contributed. Interest rates and dividend rates are low at this time, however over 30 years they probably will average close to 6% making your $100 investment over 30 years grow to over $100,000! Consumers who can save more for retirement or who work longer will find that their money grows even further. Many people will work until they are 65 or 40 years in our example. Their money would grow to almost $200,000 at 6% or almost doubling over that extra 10 years. 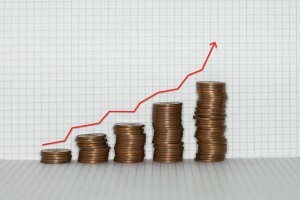 If you can save more early on, your compound interest income is going to grow even faster. Focus on high quality dividend paying stocks that have a history of increasing dividend every year and you will do very well in deed over your working career. This entry was posted in Retirement Income and tagged Retirement income on 2016/08/21 by ernie. Many consumers want to know the answer to the question, “how much income will you need in retirement”? The common guideline for the amount of money or income that you will need during retirement has been an average of 70%. 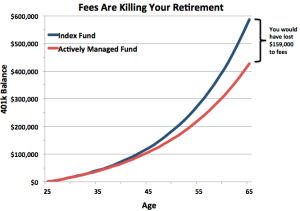 Most advisers will aim for that number. This is based on the fact that most people will not need as much money to live on during retirement. After all they do not have the expenses of going to work. Their mortgage should be paid off. All of their debt including car loans should also be reduced to zero. They also have less expenses for getting to and from work, less clothes etc. 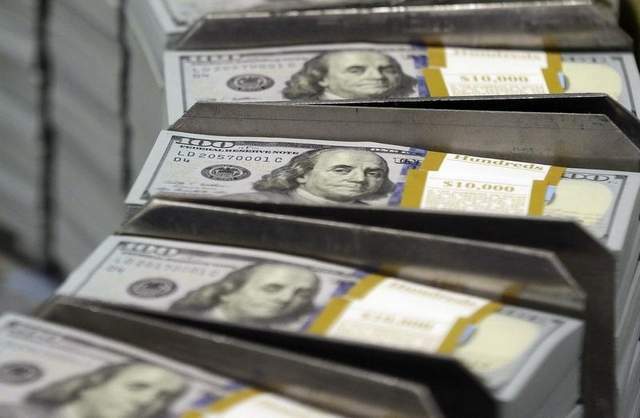 How much income will you need in retirement – Spending More ? They may have objectives of going on a vacation, visiting grandchildren, perhaps a once in a time life vacation. For many consumers this number of 70% is probably quite realistic. However it may not work for everyone. It is important to understand what your situation is and how much money you will need once you retire. For example the couple that is spending to the level of their paycheck each month just before retirement may have difficulty surviving on 30% less than they currently make. Unless they reduce their expenses they will quickly go into the hole. They may run up debt that they probably will not be able to pay for. They may be required to take another job, sell their home to cover expenses etc. This is not something that you want to find yourself needing to do. If you are nearing retirement now is the time to complete an assessment of how much income you will actually have during your retirement taking into account employment pensions, government pensions and income from savings. At the same time evaluate all of your expenses to understand which ones will continue during retirement and those that will be reduced. Once you have these two numbers you will be able to quickly understand weather 70% of your income is realistic or not. Don’t forget to include one of a time expenses such as vacation, supporting children, and health issues that may increase the 70% requirement of your income. There is also an age factor to take into account as well. When you initially retire and have your health, there are more opportunities to spend your money on the fun things you like to do. As you age, you may have to gove some things up and switch to others that actually cost less. The big unknown is what will your health care cost and how much will you need to pay for the level of care that you need? 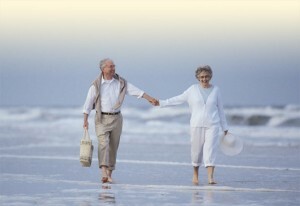 For more information about retirement income and how much you will need in retirement, click here. This entry was posted in Retirement Income and tagged Retirement Expenses, Retirement income on 2014/02/28 by ernie. Many people worry about going broke during their retirement. There are a lot of things that can happen during your retirement and the essential planning includes making sure that you were planning for risk, and assuming that something will happen during that time frame. We have outlined six different things that people should plan for, or at least try to make sure that they are ready. Working at managing your investments can help you avoid going broke by age 75. It used to be that most of us would be dead by the time we reached age 75. Nowadays many people are living well beyond 80’s into their 90s. Most people need to plan that they will live beyond 75 and look at what the impact will be on their income and their savings during that time frame. Another factor that everyone should consider is learning how to live on the income that they bring in each year. Avoiding touching your principal will ensure that you have income each and every year well into your 90s. As soon as you touch the principal you Lower your income potential and make it more difficult to live on the reduced income that you are receiving. Setting a budget is always a wise thing to do. Focus on the amount of income you have each month, and all of the major expenses that you will have each month and during the year. 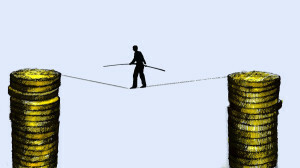 Make sure that you balance the budget, in other words make sure that your expenses are lower or equal to your income. While your savings are invested, the savings are generating income at whatever rate that you are receiving for each individual investment. As soon as you sell that investment, the income stops and you will no longer have that investment as a source of income. If you depend on that income as part of your living expenses one should think very carefully before they sell any particular investment. Health costs are another factor that many people do not calculate when they’re planning their retirement. They just assume that they will be healthy until they die and will not require treatment in hospitals or long-term care facilities.Long-term care facilities can cost upwards of $4000 per month meaning that your total cost will be $36,000 actually $48,000 per year. this is a huge sum of money for most people and if you’re living on a fixed income or one spouse must remain in the home it is very difficult to afford this kind of expense. Plan for your health care during your retirement. There are always surprise costs that crop up during retirement. It may be a new car, it may be a new roof, it may be significant health costs such as dental or other health costs, but there will be something that comes along. Make sure that you have investments and savings are ready to deal with those surprise costs whatever they are. It maybe easy to say, save enough in the first place, however this is the crux of the problem for many people were facing retirement or are already in retirement. Work with a financial planner to figure out how much investment you need to have by the time you retire and have them figure out the amount of income that you need to meet the quality of life that you require during retirement. This is your life that you’re planning for and it is important to take responsibility and be accountable for the quality of life that you want to have while you are retired it could be as long as the third of your lifespan based on current living expectancy. For more retirement planning ideas and posts, click here. This entry was posted in Retirement Costs and tagged Retirement income on 2013/08/24 by ernie. You may have just retired, your pension payments are being deposited into your bank account and you have your savings which is part of your plan for retirement. You know it needs to last for the rest of your life. However what you do not know is how much to take out each year. Some experts believe in preserving capital and just utilize the income. While others use a more general rule of 4% of your principal. Four % could mean that you dig into your capital in years that the incomes is lower than 4%. In the past few years, yields have been very low. If you are conservatively invested in GIC’s for example you are probably making less than the 4% rule. So what is a retired person suppose to do in a situation like this? The 4% rule fixes your income for as long as your savings last, however there is no guarantee that your savings will last long enough even with the 4% rule, particularly if there is a bad year in the markets and the value of your portfolio declines substantially. One alternative is to take out only the income that your investments actually generate each year. For example, you could have all dividends, mutual fund income and bond income deposited as cash into your account and you only draw on this amount from your savings. This way you will never touch the principle and your savings will virtually last forever. If this provides sufficient income then you are indeed well off, but what if this is not enough? Some experts feel that you should adjust the 4 % rule based on your needs as well as your portfolio performance. If the markets do decline, and your portfolio is not doing well, can you forgo a payment that year? Can you live off the income that you have from your pensions and the income from your investments? The point is that you may want to re-evaluate the 4% rule each year and make the appropriate decision, with 4% being the upper limit of what you would withdraw in any given year. Studies have actually shown that a constant withdrawal rate have not performed well for investors in terms of their savings lasting as long as they need it to. Their standard of living begins to fall over time. Mortality experts believe that the average life span is 74 years of age. However if you make it to 65 years of age, you actually have a better chance of living until you are in your 80;s simply because you made it to 65 and apparently are taking care of yourself. When you are evaluating how much money to take out of your savings one of the decisions that needs to be made is how long you will live. Someone who lives to 74 can spend more freely than someone who likely will live until age 85. Every year a reassessment of this factor will help you decide how long you will continue to live and your corresponding withdrawal rate from your savings. Someone who is expected to live 10 years might take out 10%, while someone who is expecting to live 20 years might take out 5% i.e. 1/20th. Your investment strategy also plays a large part of how much money you will have during retirement. Investing in conservative dividend stocks that grow their dividends over time and have a good record of always paying their dividends will have a much different profile than someone who invests in growth stocks. Can you live on the income from your portfolio only? If you can this will preserve your capital and allow you to have much more control over your capital as well as maintain your standard of live. Dividend paying stocks that increase their dividends each year will give you inflationary protection over the retirement years. There are a lot of strategies to consider. We also suggest that you meet with a financial adviser and discuss some of these strategies. Never follow advice blindly. If it keeps you up at night or you do not understand the advice, continue to gather information before making a decision. Always invest diversely and stay away from high risk stocks that could decimate your portfolio in a market downturn. This entry was posted in Retirement Income and tagged Retirement income on 2013/04/07 by ernie. Retirement is a really big step for most people. There are many issues to think about when you retire which represents a lot of change for both you and your spouse. Most people do not even think about retirement planning until a few weeks before they walk out the door. Some companies will encourage people to think about retirement. They will even send them on courses, however most do not simply because of the cost. Everyone should take it on to do their own retirement planning well before they retire so that they can approach it without fear or nervousness. The most important issue most people think about is whether they will have enough money to live the life they wish to without having to sacrifice their quality of life. This is an important element, however there are many other items to consider as well. We will focus on the financial issue in this post, however we wanted to list some of the other areas everyone should think about as well before they retire. We will cover these issues in subsequent posts. This is a simple list. We would appreciate your comments if we missed any. This is probably the single most important question for many people. I once met a friend of ours who was forced to retire at age 65. He had been well paid, had saved while working and was going to receive a very good pension. On top of that his wife had retired with a pension as well. He was very concerned as to whether he would have sufficient money to live the way he wished during retirement. At first glance you might conclude, that of course he has enough money! He has two pensions and savings to live on, what more could you want. Well it is not that simple. Both he and his wife had their kids later in life, so one was still at university and neither was married or holding down jobs of their own yet. He was still supporting them in a fairly high quality life style. However these areas are really not the issue. Everyone has their bills to pay and some are higher than others. The real issue is that he did not know what is income was and he did not know what his expenses were now or going to be post retirement. He had never had a budget and did not have any idea of how to go about building one. This is really the first step towards retirement planning. Build a budget that is fairly reliable and takes into account unforeseen expenses that we all know happen along from time to time. The fundamental thing you have to do is build a realistic retirement planning budget. This is the only way you will know for sure what your income will be and what your expenses will be. If revenue less expenses are negative then you have a problem and need to make some cuts on the expense side somewhere. Also account for major expenses that you know are going to come along. You can either save for them, pay for them lump sum from savings or pay for them through a loan over time. They are not going to disappear and you need to deal with them and include them as part of your retirement planning exercise. A good example is that most people need to replace their car every 5 or 8 years. Some people will do so more often , while others will be longer, but sooner or later your going to need another car. In your plan, decide when you think this will happen and plan accordingly. This same approach can be applied to all other areas as well. My friend was concerned about paying for two weddings. These will happen and he needs to include them in his planning for post retirement. He was also concerned about expensive upgrades that he was thinking about for the house. These kinds of retirement planning expenses are optional unless you are talking about the furnace, water heater, air conditioning or the roof. Build your plan with everything in it and then decide what you can actually pay for. There are optional expenses which can be either spent or you can eliminate them from your life style. There are also options with respect to work now as well. Another friend of ours has a very good pension and can live on it quite comfortably. However it is not enough to allow her to do some of the things she wants to do. She loves to travel 3 or 4 times every year and when she travels she likes the best. For her the option is to go back to work on contract for part of the year. She continues to collect her pension however the extra money she makes allows her to pay for her trips and other upgrades around the house. There is another big advantage for her in this scenario as well. She gets out every day and she is with people every day which is very good for her. So if your budget income comes up short for your retirement planning task, then another option is to take on a contract job that allows you to live the life you wish. The first step to retirement planning is to do a budget and then take the steps you need to make the budget work for you to avoid a short fall in funds, while at the same time allowing you to live the life you wish. We will discuss some of the issues mentioned in this blog in future posts. This entry was posted in Retirement and tagged Retirement Expenses, Retirement income on 2010/02/14 by ernie.